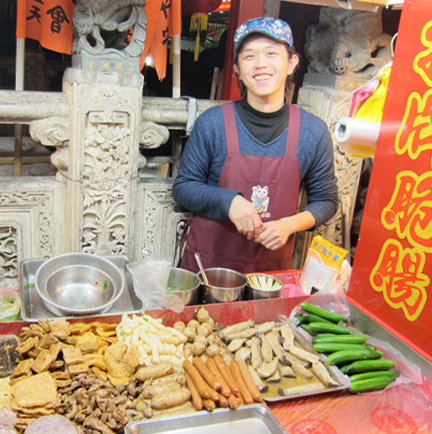 The night markets in Taipei are one of my favorite places to visit. There are many scattered around the city and are normally situated close to a university or college. I always enjoy my visits since there is always a plethora of food to choose from. It is quite clean and the prices are reasonable. 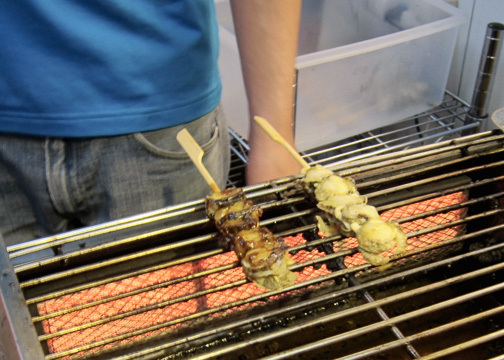 One of the most popular Night Markets is the Shi Lin Night Market. It is always very busy teeming with locals and tourists alike. Because of this, I suggest a weekday visit if possible. Aside from food, there is a multitude of shops that offer a range of products from branded sporting apparel and shoes to iPhone cases. However, the food is still the main priority of visitors. With this in mind, I have compiled photos of my recent visit. Enjoy! Top: Different types of grilled Sausages. Of course, the pork sausages (center) tasted the best. 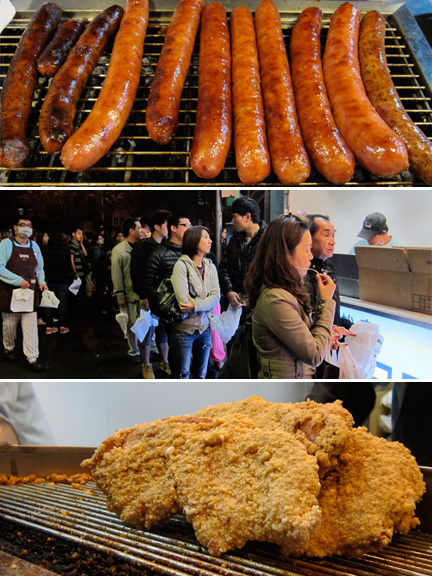 Middle: 20 minute wait for the… Bottom: …Famous Taiwan fried chicken chop. Teppanyaki Counter. Normally food is served in sets to simplify matters. Oyster Omelet. Another favorite. 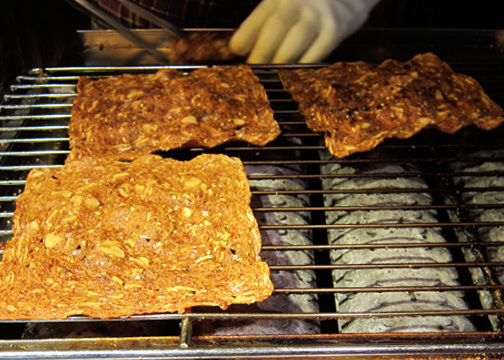 Has a tikoy-like consistency. Top: On the griddle. Bottom: finished product. 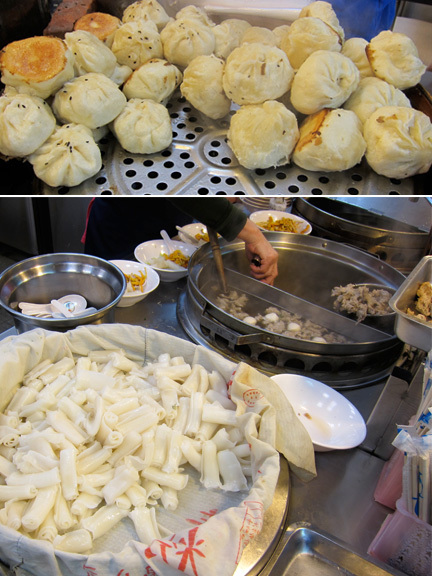 Top: Very tasty with bola-bola like filling. Mushroom option available. Bottom: noodle soup. My Favorite for the night: grilled scallops topped with a mix spice powder. 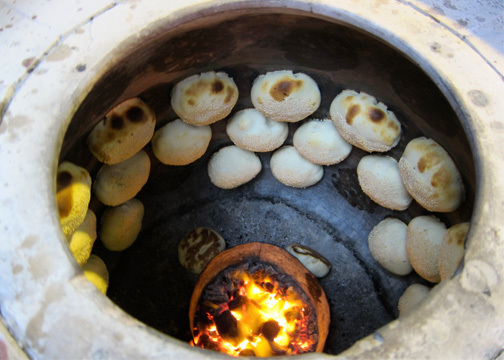 Spicy beef buns baked in a clay oven. Savory halo-halo. Pick from different meats and veggies then its chopped up and served with a sweetish-spicy sauce. 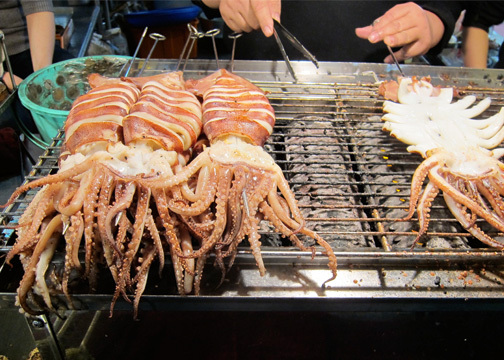 Grilled giant squid. Surprisingly tender. I've always loved Chinese food. 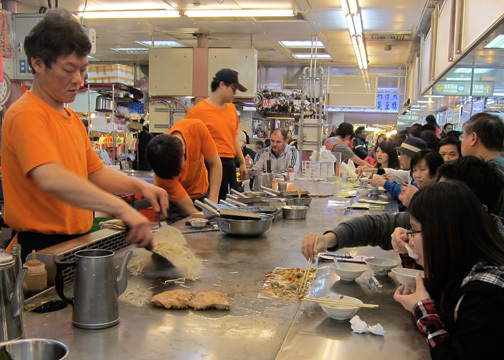 But Taiwanese food is even more interesting & delightfully "different". The last time I was in Taiwan, we ate all kinds of delectable & unique dishes that have managed to stay in the memory recesses of my palate. After reading this, I am even more encouraged to go for another food trip (literally, haha) to Taiwan! Sanju is such a good writer & lover of the better things in life. I delight in reading him, as much as I look forward to trying out what he aims to share in his own sanjustic way! The buns in the tandoor-like oven are called hujiao bing and the filling is actually made of pork, scallions and lots of black pepper. 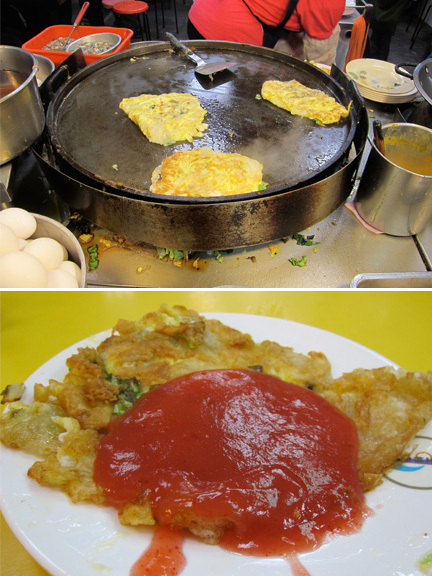 I had this for breakfast and snacks every single day when we were in Taipei a couple years back. Quite popular and available even outside the night markets. Hi Paul, Yes they normally have a pork filling but this one was different. It had a spicy beef filling. Hi Lorna, Your kind words and encouragement only makes me strive to do better. Thank you.